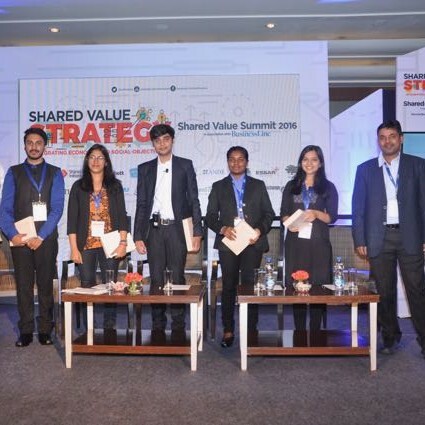 Shared Value Summit 2016 drew lessons from experiences that the companies had in their journey of creating shared value and presented an interactive learning platform for the Indian enterprises. 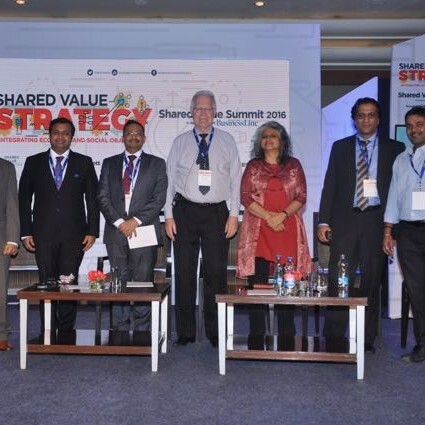 The summit witnessed intriguing keynotes and plenary sessions discussing strategies of implementing shared value business models in practice. There is a correlation between governance and economic development. The focus on governance leads to economic development of the nation. Also, increasing levels of economic development stimulate the demand for better governance. Notwithstanding the different definitions of governance, one thing is clear that governance is different from the government to government. Governance involves the participation of the citizens and willing of the government and citizens to work together towards reducing the socio-economic disparities. India will become a better country only when citizens come forward to contribute in the same. There are many examples regarding the role of citizens in making things happen. The first one is regarding the Consumer Protection Act, 1986. This act did not happen simply as an act of legislation by the government. Rather, the citizens of India made it happen by articulating the demand for this act via news and civil society. The other examples include Environment Protection Act, 1986, etc. Similar intent and approach is being followed for the Smart Cities Mission. The fundamental difference between Smart Cities Mission and earlier schemes like JNNURM etc. 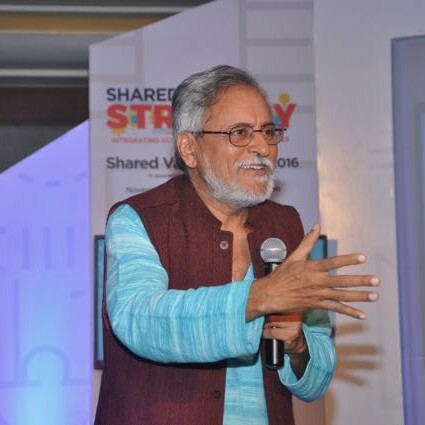 lies in the fact that citizens have an active involvement along with municipal bodies and government in determining the parameters of smartness for a particular city. The way, smart cities are designed and implemented in Pune, and Bhubaneswar shows this difference. India changes for the better if all of us make a contribution to that change rather than waiting for the things to happen on their own. Another point, which holds importance is that India is primarily an informal economy. Assuming India’s workforce to be around 450 million, around 45 million working people are having some formal employer-employee relationship. These kinds of reality-checks have a significant impact on the governance aspects and launch of schemes like social security etc. The third important point is regarding the reliability and availability of datasets. Macroeconomic data points like GDP, financial indicators, financial performance of listed companies etc. are available with some time-lag. However, the major challenge lies in getting reliable data sets about social outcomes, environmental performance, or anything around informal sectors employing a major proportion of the workforce. So, data sets become a challenge as one tries to look deeper into the non-financial and non-GDP related outcomes at the sub-regional levels. There is a transition happening around to enable access to reliable datasets at the grass-root level. SECC is one such initiative by the government for the rural sector. It is a census, which provides details at the household level in rural areas. Other initiatives like Pradhan Mantri Jan Dhan Yojana are aimed at enabling the inclusion of the poor in the formal ecosystem. Fourth, let us understand what is meant by the government and what is the role of the government. The majority believes that government implies the Union Government and that is responsible for everything related to the social and economic progress of the nation. The Union Government is mainly relevant for defense policy, foreign policy, National Highways, overall policies, etc. However, it depends on and works with the State Governments for state-level actions and orientations. Similarly, State Governments work with respected state level local bodies for delivery of public goods and services. This whole structure and process are designed around decentralization of governance. The final point is regarding the role of NITI Aayog in development and governance in India. The job of NITI Aayog is to ensure the improvement in the lives of the citizens of India and to measure the growth using appropriate indicators over a period. There is a tectonic shift happening in government, civil society organizations, and businesses regarding the respective roles and responsibilities in solving the social problems. The traditional thinking implies that it is the responsibility of the government and civil society organizations to resolve the social and environmental issues. Whereas, the businesses are supposed to focus on the economic growth of enterprises generating employment and paying taxes along with the adverse impact on society and environment. However, the narrative is changing dramatically since the last 5-10 years. The businesses are increasingly seen in the discussions and round-tables about climate change, UN Sustainable Development Goals, etc. The global companies realize the fact that shared value orientation is a way to gain competitive advantage. Shared value is not about values or language; it is all about creating a business case having an integrated view of the social and economic gains. Those businesses, which are integrating the social and environmental impact in the core of their business model and that too at a scale will be having the competitive advantage in the future. Three models are happening globally in this direction – Redefining the business model, Redefining the boundaries of competition, and Creating and ecosystem of shared value. The first model relates to redefining the business model and challenging the long-held assumptions regarding the current nature of business, opportunities, and limitations. Enel, $100 billion Italian utility company fits into this model. Enel is an energy company of Italy with huge fixed assets in coal-fired, oil, and gas plants and involved in energy generation and delivery in Italy. The company realized the socio-economic and environmental potential of green power (solar, wind, geothermal, etc.) and decided to make a business case for the same. 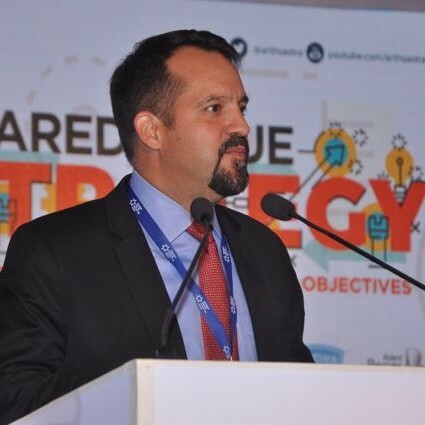 The company spun off a new entity called as Energy Green Power to focus on the renewables as a mode of energy creation in Latin America, North America, and Africa. The primary focus here was on creating a business model for building a green business at scale targeting the underserved geographies globally. Once the concept was validated and proved as a socio-economic success model, the company took the step further by incorporating Enel Green Power back into Enel (parent entity). It led to the business model transformation across the enterprise thereby making a shift from traditional utility business driven by a focus on fixed assets to a future age business driven by a focus on innovation and environmentally friendly technologies. The second model relates to redefining the competitive boundaries. The example here involves streamlining the quality and volumes of cocoa supply from Côte d’Ivoire having 1 million farmers and generating 40% of the global cocoa supplies to the chocolate manufacturers like Nestle, Mars, Cargill, etc. The traditional approach would have been that each company works with its set of farmers in that region, trains them, and regenerates a specific number of cocoa trees, etc. thereby improving its supply chain. However, the challenge can be better addressed if all the companies (Nestle, Mars, Cargill, etc.) come together and look at the challenge as a collective opportunity to regenerate cocoa production in Côte d’Ivoire by training 1 million farmers and restoring more than 2.5 million trees. The companies do not compete on the sourcing side but rather compete on the customer side. This change in mindset redefined the competitive boundaries and brought these companies together to pool their resources and expertise in regenerating the supply of Cocoa from Côte d’Ivoire thereby having mutual benefits for the companies as well as cocoa farmers. The third model relates to creating an ecosystem for shared value. It involves creating partnerships with different stakeholders for a collective goal. Yara, a global fertilizer company, decided to exploit the growth opportunity in Tanzania. However, the country lacked sufficient infrastructure, systems, and processes to yield a profitable business value to the companies. Realizing the challenge and unexploited opportunity, Yara created a business case, which brought together the diverse stakeholders including the government, development institutions, different businesses and civil society organizations to invest in building an overall ecosystem for successful social and business outcomes. GDP has been used as a de-facto measure of growth and economic prosperity of the nation. Social Progress Index began as an idea 5-6 years back by a group of social innovators. The fundamental belief behind SPI is that the world is moving in a direction where there is a need to go one step ahead to measure the success of the societies and the nation. Three fundamental principles drive SPI. First, SPI framework is based on social and environmental indicators. Second, it is driven by the focus on outcomes and not inputs or outputs. Third, it can be developed at global, national, and sub-national levels thereby providing the insights to the countries like India from the national level to states, cities and districts levels. SPI comprises of three broad dimensions, which are further sub-divided into components and attributes. The first dimension relates to Basic Human Needs. This dimension underlines that a good society needs to ensure the fulfillment of basic needs like food, water, shelter, safety, etc. The second dimension relates to Foundations of Well-being. This dimension highlights that a good society is one that provides access to basic knowledge, access to information and communication, health and wellness, and ecosystem sustainability. The third dimension involves Opportunity. The underlying components include personal rights, personal freedom and choice, tolerance and inclusion, and access to advanced education as building blocks for a healthy society. The majority of the Scandinavian countries perform well on SPI along with the USA and other western European countries. Latin American countries like Uruguay and Costa Rica are doing very well on Social Progress despite having a relatively lower GDP as compared to the USA and other developed nations. Focusing solely on GDP growth does not necessarily leads to equivalent Social Progress. India has a lot of areas of improvement as evident from Social Progress Index. Health and Wellness are another areas of concern. However, India being a complex and heterogeneous society, it requires more than a single, uniform approach to show improvement in these areas. The specific actions are required at the level of states, cities, and districts to reflect an overall difference at the top. This makes a strong proposition for creating a Social Progress Index at the level of states, cities, and districts in India. The Social Progress India is moving in the same direction. The idea of the social business model is to create a self-sustainable business having a social mission, where the revenues being generated are invested back into the growth of the business. It is a huge contrast to the charity model, which is constrained by the generation of cash flow from grants and other philanthropic sources. One of the examples of Social Business is Grameen Energy company in Bangladesh. The company was set up in Bangladesh around 20 years back to enable access to electricity by setting up solar energy systems in the homes of the underserved segment. This company has installed the solar energy systems allowing access to electricity for more than 2 million homes in Bangladesh as on date. It was followed by enabling access to the solar irrigation pumps for the farmers. 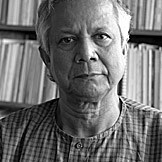 Another example of Social Business relates to the Grameen Distribution company. This company trains and engages the rural women for door-to-door selling of essential products in the rural areas. At one end, this initiative has created last-mile accessibility and availability of essential products to the underserved segment. On the other end, this initiative has created local engagement and income opportunities for the rural women. The third example of Social Business relates to an enterprise in Bangladesh serving the affordable and high-quality mid-day meals to the migrant laborers like rickshaw pullers and construction workers. The philosophy and belief in Social Business are spreading across other countries like Brazil, Albania, Macedonia, Uganda, Tunisia, and India, etc. Social Businesses need to be a global phenomenon to eliminate the inequalities. It is gaining acceptance and encouragement from various entities. Another example, sporting events like Olympic games can be used to raise the interest in setting us social businesses. The events like Olympic Games can begin an evaluation criterion based on the presence of social businesses in a country while making a choice of country for hosting the Olympic Games. The chosen country for having hosted the Olympic Games need to take a step further to achieve the three zeros theme for Olympic Games– zero poverty, zero unemployment, and zero net carbon emission. All the infrastructure related to Olympic Games should be around three zeros. The housing infrastructure for the athletes, the stadiums, and others should be designed and constructed with a focus on three zeros. Universities play a significant role in enhancing the skills and capabilities of the youth for setting up social businesses. There are around 30 global universities, which are creating social business centers on campus as formal research, education and learning centers. Then there is development institution like WWF, which can enable the growth of social businesses. WWF is looking at Social Business models for enabling the environment sustainability by encouraging recycling and reuse of plastics and other non-biodegradable materials. Communities and corporations need to be hungry for ideas, learning and innovations to create a difference. Contrary to the general belief, MNCs show greater interest and willingness in frugal innovations as compared to the Indian businesses. The doing good mindset among the Indian companies is not a pragmatic, futuristic and realistic way of thinking. It restricts the focus on undertaking innovations. The biggest of challenges in India mainly related to social inclusion of the masses from rural areas can be managed by practical, affordable, and innovative solutions. For example, India has more than 650000 villages and 150000 post-offices. One innovative solution to bring the education to the masses in the rural areas involves putting a Bluetooth broadcaster across the post-offices to beam the open source local language content to the school children in villages. Another example relates to National Innovation Foundation (NIF). NIF has mobilized more than 200000 ideas from 550 districts of India. The majority of these ideas are related to herbal knowledge, botanical knowledge, plant-based know-how, etc. More than 800 patents have been filed for these grass-root innovations. Around 10% of these innovations have been patented to small businesses thereby bringing the grass-root innovations to the market-based ecosystem. The similar kind of innovations database, if maintained at the national level can lead to country-level transformation. The CSR teams of the organizations need to be entrepreneurial in nature while making a choice and decision regarding the areas of CSR implementation. One needs to invest in solutions of tomorrow rather than investing in traditional solutions without significant impact. The next point is regarding the creativity and energy among the children, who are the future of tomorrow. Children are the hotbed of innovations. The creativity and questioning by the children should not be curtailed, rather should be encouraged and channeled through the systemic process of research-based workshops, and idea based competitions. For example is regarding a five-year-old child, who created innovative shoes, which can be used as a vacuum cleaner. Another instance relates to a group of children from fourth, fifth, sixth and seventh classes recommending a foldable cart for the street vendors to take those through the narrow gullies. It is a simple and innovative solution, which could not be considered of in the last 65 years. The third example here relates to the idea of a girl that all lunch-boxes should have a statutory advice on them which ask the children to wash their hands before starting to eat. This simple message can have a profound impact on the sanitation and hygiene of children, who otherwise tend to overlook the hand-wash and suffer from diseases. A simple idea has the power to influence the public policy of 1.2 billion people in this country. So, the key point here is that children can identify an unmet need and devise a solution, which we tend to overlook. These kinds of grass-root solutions, if encouraged and incorporated as policy actions can make a tremendous impact at the grass-root level. To sum up, the power of ideas and grass-root innovations is immense. The custom problems at the grass-root level require innovative solutions. India needs to encourage innovation at all levels. The country needs innovation clubs all around focusing on searching innovation, spreading innovation, celebrating innovation and inviting innovation. Shared Value Orientation as a Project or Enterprise. What works better? 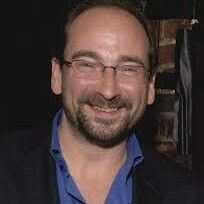 What is the best way to identify the social/ environmental need or opportunity? From the organizational perspective, the idea of shared value involves two perspectives. The first perspective deals with the perspective of the business regarding undertaking the shared value orientation as a project or as an enterprise. The second perspective involves identifying the right need or opportunity to start on the shared value journey. 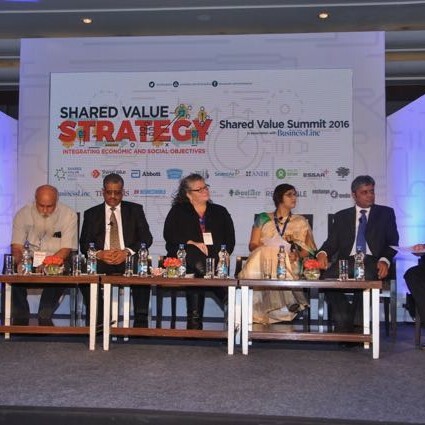 Shared value strategy typically focuses on enabling the inclusivity, redefining the competitive boundaries, and building an ecosystem based approach. Shared Value is not an isolated phenomenon, rather an integrated model with the business strategy. Shared value lies at the intersection of the self-interest and social interest. 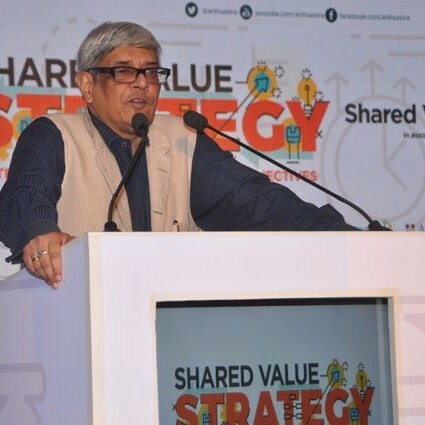 Regarding shared value orientation in terms of inclusive finance, Yes Bank is one such example using a shared value approach to create the inclusive access to banking for the masses in India. The mobile penetration in India has reached around 900 million. However, only 400 million mobile phone users have access to smartphone device and 150 million have access to internet. The company created a SIM sleeve to enable the access to online banking without the use of internet. This value offering led to the financial inclusive of more than 700 million people having mobile phone but lacking access to internet. Another area of intervention involved offering the gender financing to the women thereby facilitating them to become entrepreneurs. The third area of intervention involved enabling access to affordable and clean drinking water for the masses by installing the zero electricity and zero wastage water ATMs across the thousands of railway stations. The company also focuses on leveraging the EROI and SROI frameworks for measuring the environmental and social return on investment. These impact assessment framework enables the company to fine-tune their processes and implementations to maximize the social and environmental outcomes. Another area of intervention using shared value approach relates to the integration of supply chain and market opportunity. Mother Dairy is an appropriate example of being a Responsible Corporate Organization of India. The company looks at the societal problems as an integral part of way of doing business rather than looking at it from the CSR perspective. It undertook several measures to streamline the supply chain comprising large number of small farmers. First, the company encouraged its network of more than 20000 farmers to receive the funds directly in their bank accounts rather than taking up cash for the supplies. This led to the financial inclusion of the farmers. thereby encouraging them to online transfer of funds to its network of 20000 farmers long time back thereby enabling them to undergo financial inclusion. Second, it has created a large organization, which is a network of women and is managed by the women only. This type of women specific organizations on the supply side will lead to huge social impact in the form of women empowerment. Third, the company is delivering the milk fortified with Vitamin A to its consumers in a bid to address the prevalent health issues like anemia. This has been done without charging any price premium. Oxfam India highlighted the persistent challenge of hunger in India despite having enough food production. According to the estimates, more than 800 million people are going to bed hungry every night. There are primarily seven key factors linked to poverty in India – lack of fair pricing in land procurement, gender inequality, distress condition of the farmers, lack of fair pricing to farmers, climate changes, lack of access to water, and lack of transparency. The global private companies in food business are becoming conscious to act responsibly on the above factors and that is something which will make a positive impact on the hunger and poverty issues in the future. Another example of creating shared value relates to the collaboration between Cargill and SAB Millers for procurement of barley. These two companies went ahead with a public-private partnership program with the government of Rajasthan. This program involved procuring the barley seeds from the government and distributing those to the farmers with a buyback guarantee. At one end, this benefitted SAB Miller in getting the direct supply of high quality barley from the farmers without any intermediaries. At other end, this created a fair price opportunity for the farmers, who no longer depended on agents and mandis for selling their produce at discriminatory prices. Sealed Air is a leader in the global cleaning industry. It is primarily in the business of providing environmental and health friendly cleaning solutions to the people. The company faced the challenge of competing in an unorganized cleaning industry with proper regulatory framework in India. Realizing this, the company focused on systemic behavior change orientation of the masses towards cleaning as well as training the unemployed youth as health hygiene technician. At one end this made them employable and feel confident with a dignified designation. At other end, this led to increase in the awareness and sensitivity levels of the people in India towards adoption of healthy cleaning solutions. From the organizational perspective, the idea of shared value involves two aspects. The first issue deals with the viewpoint of the business regarding undertaking the shared value orientation as a project or as an enterprise. The second issue involves identifying the right need or opportunity to start on the shared value journey. Shared value strategy typically focuses on enabling the inclusivity, redefining the competitive boundaries, and building an ecosystem-based approach. Shared Value is not an isolated phenomenon, rather an integrated model with the business strategy. Shared value lies at the intersection of the self-interest and social interest. Regarding shared value orientation regarding inclusive finance, Yes Bank is one such example using a shared value approach to creating the inclusive access to banking for the masses in India. The mobile penetration in India has reached around 900 million. However, only 400 million cell phone users have access to smartphone device, and 150 million have access to the internet. The company created a SIM sleeve to enable the access to online banking without the use of the internet. This value offering led to the financial inclusion of more than 700 million people having a mobile phone but lacking access to the internet. Another area of intervention involved offering the gender financing to the women thereby facilitating them to become entrepreneurs. The third area of intervention involved enabling access to affordable and clean drinking water for the masses by installing the zero electricity and zero wastage water ATMs across the thousands of railway stations. The company also focuses on leveraging the EROI and SROI frameworks for measuring the environmental and social return on investment. This impact assessment framework enables the company to fine-tune their processes and implementations to maximize the social and environmental outcomes. Another area of intervention using shared value approach relates to the integration of supply chain and market opportunity. Mother Dairy is an appropriate example of being a Responsible Corporate Organization of India. The company looks at the societal problems as an integral part of the way of doing business rather than looking at it from the CSR perspective. It undertook several measures to streamline the supply chain comprising a large number of small farmers. First, the company encouraged its network of more than 20000 farmers to receive the funds directly in their bank accounts rather than taking up cash for the supplies. It led to the financial inclusion of the farmers, thereby encouraging them to the online transfer of funds to its network of 20000 farmers long time back. Second, it has created a large organization, which is a network of women and is managed by the women only. This type of women specific organizations on the supply side will lead to huge social impact in the form of women empowerment. Third, the company is delivering the milk fortified with Vitamin A to its consumers in a bid to address the prevalent health issues like anemia. It is done without charging any price premium. Oxfam India highlighted the persistent challenge of hunger in India despite having enough food production. According to the estimates, more than 800 million people are going to bed hungry every night. There are primarily seven key factors linked to poverty in India – lack of fair pricing in land procurement, gender inequality, distress condition of the farmers, lack of fair pricing to farmers, climate changes, lack of access to water, and lack of transparency. The global private companies in the food business are becoming conscious of acting responsibly on the above factors, which is something which will make a positive impact on the hunger and poverty issues in the future. Another example of creating shared value relates to the collaboration between Cargill and SAB Millers for procurement of barley. These two companies went ahead with a public-private partnership program with the government of Rajasthan. This program involved procuring the barley seeds from the government and distributing those to the farmers with a buyback guarantee. On one end, this benefitted SAB Miller in getting the direct supply of high-quality barley from the farmers without any intermediaries. On the another end, it created a fair price opportunity for the farmers, who no longer depended on agents and mandis for selling their produce at discriminatory prices. Sealed Air is a leader in the global cleaning industry. It is primarily in the business of providing environmental and health friendly cleaning solutions to the people. The company faced the challenge of competing in an unorganized cleaning industry with a proper regulatory framework in India. Realizing this, the company focused on systemic behavior change orientation of the masses towards cleaning as well as training the unemployed youth as health hygiene technician. At one end this made them employable and felt confident with a formal designation. On the other end, this led to increasing the awareness and sensitivity levels of the people in India towards the adoption of healthy cleaning solutions. Youths are the harbinger of fresh ideas and responsible for the future of the nation. The rapid pace of globalization and technology is enabling the young people to become a part of the global change during the early age. The increasing numbers of youth of today are coming forward to express their voice for different socio-cultural issues. Ashoka is one of the leading organizations in the world for social entrepreneurship cultivation which is cultivating the next generation of entrepreneurs who have a social impact in mind. Realizing the need for harnessing the creativity and ideas of the youth, Ashoka started a new program known as the Youth Venture India. Ashoka Youth Venture is a global initiative, which selects the young people under the age of 20 years and cultivates entrepreneurship in them related to different social themes. How to stimulate positive action and happiness by disseminating positive and motivational stories? How to create awareness, sensitivity and social orientation among the school children on diverse themes like corruption, gender equality, social inequality, poverty, education etc.? How to enable the teenagers to deal with issues like bullying, peer pressure, self-harm etc.? How to create awareness and encouragement among the rural households to treat the boys and girls equally, send their girls to schools and make them self-reliant rather than focusing on their early marriage? How to provide a platform to the young children to display their artistic skills and creativity? This session focused on three key themes related to the socio-economic challenges in India. The first theme is how to identify the Why and assess the What and How. Why is a child not going to school in a village? How can technology be used to educate the children in rural areas? What is the impact of sanitation drive in community schools? The second theme is regarding the role of music and creativity in enhancing the life-skills of the children who are not getting a quality education. The third issue is regarding gender equality, gender sensitization, and women empowerment. Understanding the data plays a major role in enhancing the social impact at the grass-root level. Before creating an action plan for a particular social need, it is important to understand the context behind the same. It is equally important to be able to assess and realize the outcome of the action being undertaken. So, any action focusing on a social issue should have a pre- and post- analysis using data and facts. Also, the needs and priorities are different across geographies. Every location has its unique set of socio-economic and cultural challenges. If a company needs to undertake a CSR activity in a particular location, then it becomes necessary to identify the specific underserved need in that area and underlying challenges before making a commitment. It also becomes equally important to get a know-how on the overall impact and outcomes. 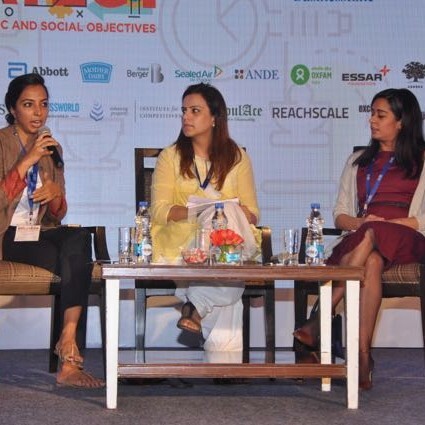 OUTLINE India, a for-profit social enterprise has been set up to collect the voices and opinions of the masses living in rural and semi-urban areas by undertaking field data collection and analysis on different social dimensions. It enables the companies and institutions to get a firm insight into the underserved needs of the masses and actions required to address the same. Another perspective, which gets highlighted during the discussion relates to the contribution of music which plays in improving the education setup. There are thousands of children living in community homes or slum areas without having access to quality education in Delhi. The lack of access to quality education affects the readiness of the child for future real-life challenges. Music Basti has been set up as an organization that partners with the community organizations and schools for imparting music-based skill building programs for the children. The objective of these music classes is to give the creativity and leadership related skills to the children in a fun and interactive manner. Music is used as a tool to engage the young children from the poor economic background into the understanding of essential life-skills. The children gain confidence and life-skills by writing their songs and performing on stage. The third perspective relates to the lack of equal opportunity for women. It is critical to focus on the gender equality to enable a socio-economic transformation of the nation. It has been a major challenge for India since a long time. The women face discrimination throughout their life. They don’t get equal representation in the political, and corporate landscape. There is a need to bring out a change in mindset towards women. Especially, when we look at the lower socio-economic strata of the society, there is a lack of resources and attitude to drive the change and acceptance of gender equality. The women need support and opportunity to prove their capabilities. Everybody needs to embrace this objective and support the pink revolution.